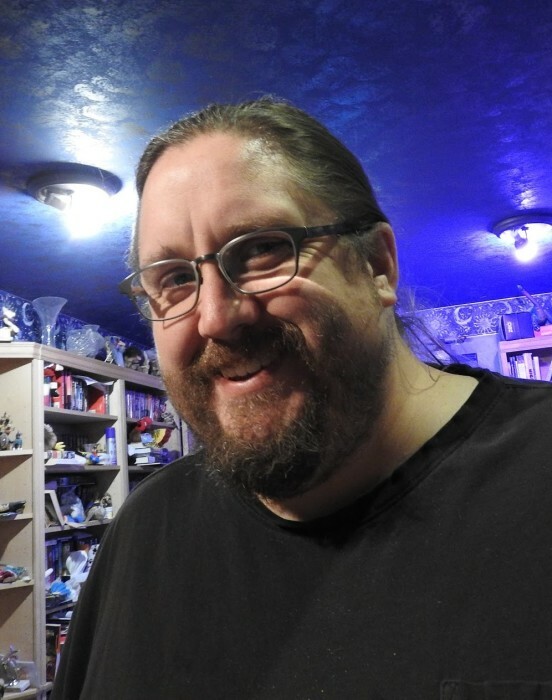 Paul Edward Erkkila passed away on March 27, 2019 in Rochester, NY at the age of 47. A graduate of Columbia High School in East Greenbush, NY and past attendee of the Rochester Institute of Technology, Paul resided in Palmyra, NY for 21 years. Paul (Pee to his friends--his initials) was, in general, kind, generous, and hilarious. He was a brilliant Voice over IP, network engineer and OpsSec guy. Paul was either a great or terrible teacher depending on whether your learning style accommodated LART gun (nerf) projectiles to the face. He had very little patience for anyone who couldn't instantly get the topic at hand, even his wife ("I've told you this, why don't you ever remember?"). He could be opinionated, stubborn, inflexible, and exasperating. If there was a right way to do it, it was his way. But ask him to fix something and he was on it, no job too big or small. He is remembered as a friend and mentor to many. Paul is survived by his wife of 23 years, Erica; her parents, Nancy and George Palmer; his, parents Pat and Paul Erkkila; brothers, Ted (Siobhan) and Brian; nephews, Henry and Niek, a greyhound and galgo, a few chickens, several unfinished hobbies. https://www.greyhoundadopt.org/ (Greyhound Adoption of Greater Rochester, NY). Please leave Paul’s family an online condolence by visiting his tribute wall on www.murphyfuneralservices.com.